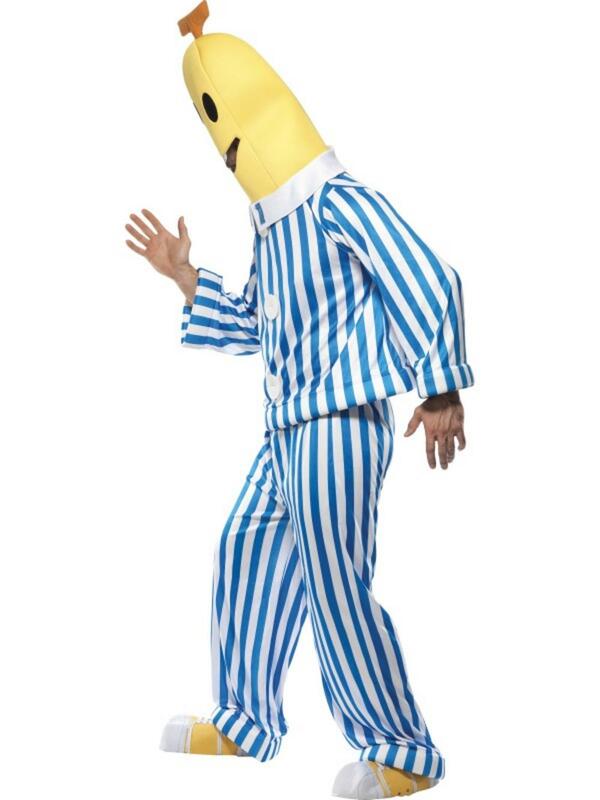 You'll be coming down the stairs and chasing teddybears in style when you wear this fabulously colourful Bananas in Pyjamas fancy dress costume. 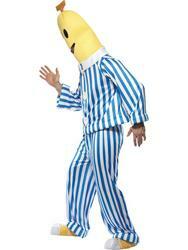 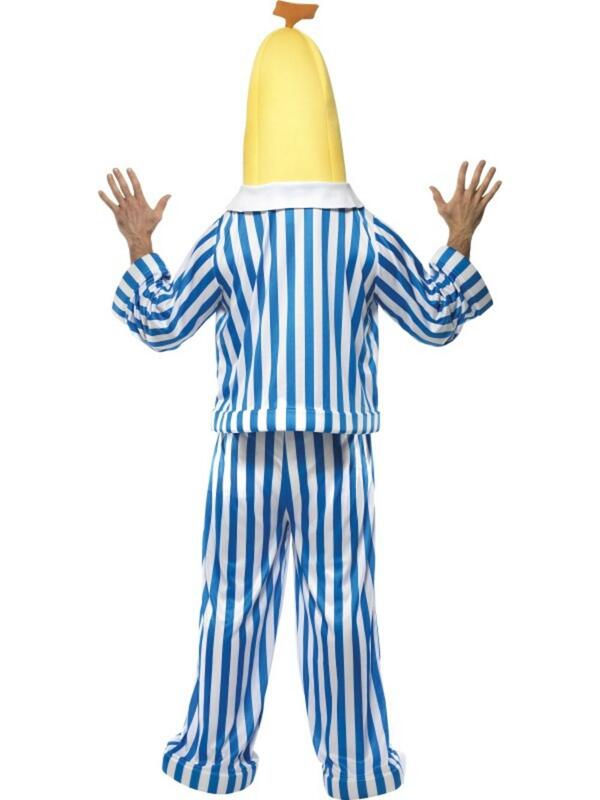 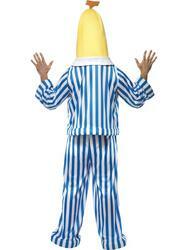 The costume includes everything for turning you into B1 or B2 and comprises of a stripey pyjama top with button detailing, pyjama bottoms, a yellow banana headpiece with eyes and cut out mouth for visibility , shoe covers and velcro B1, and B2 attachments to show which of the two boisterous Bananas you are. 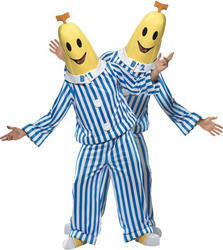 Perfect for any fancy dress party, especially when worn alongside a friend also wearing a Bananas in Pyjamas outfit. 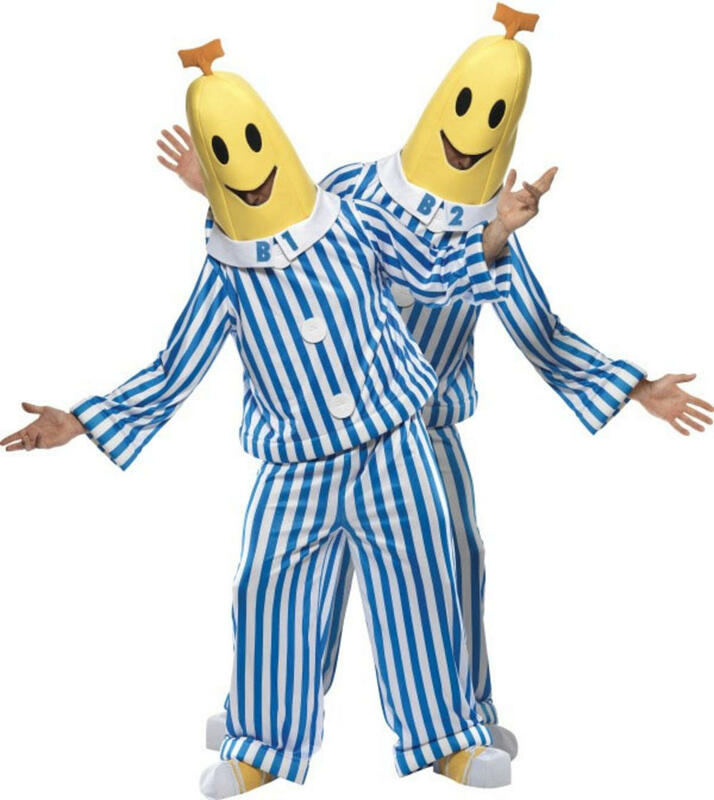 You can be B1, they can be B2 or vice versa!